All eUKhost Managed VPS Servers are hosted in an isolated server environment that provides features and control at a level similar to dedicated servers giving you full control over your VPS with root/SSH access on Linux servers and admin access on Windows server at affordable prices. Our VPS plans come with fully managed 24x7 support available by phone, live chat and support ticket only to keep your VPS running optimum. 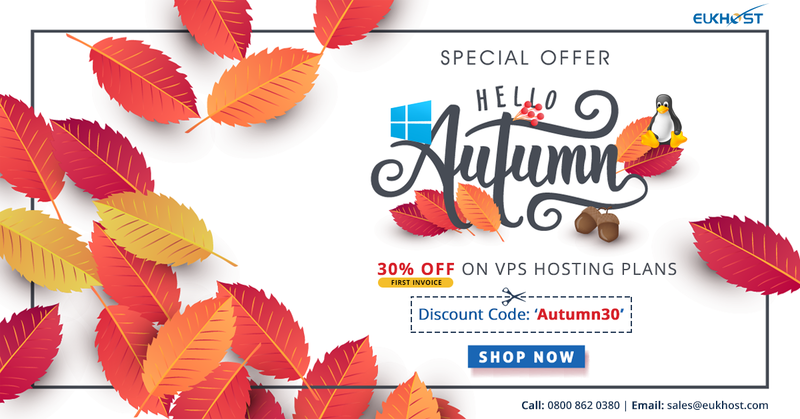 To avail 30% OFF use coupon code "Autumn30" valid till Monday 1st October 2018, 11.59pm BST.